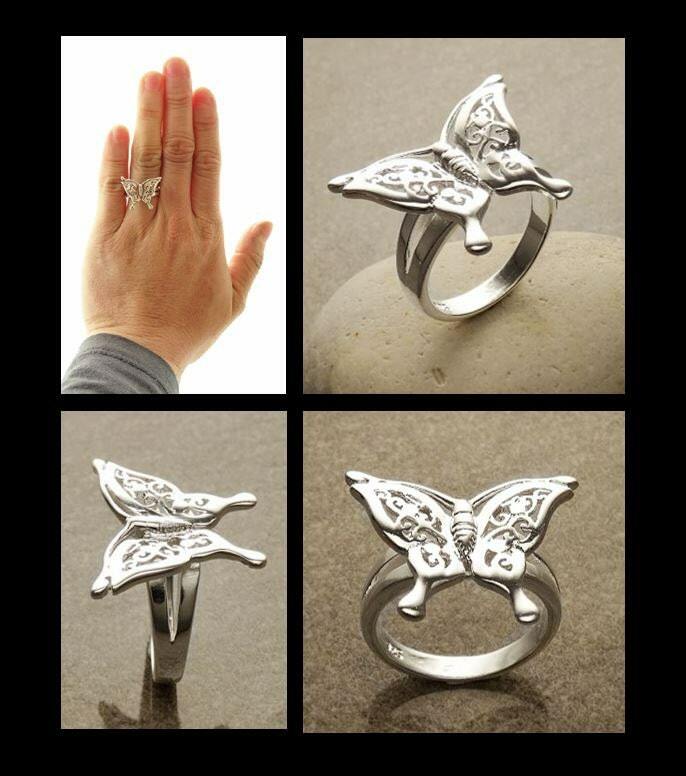 Great Sterling Silver Filigree Band Ring with engraved Butterfly Pattern in a shiny high polish finish. 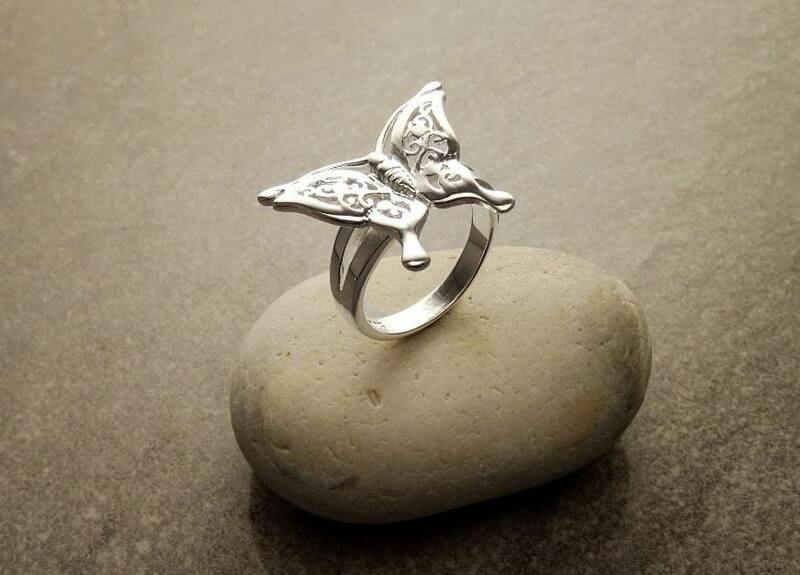 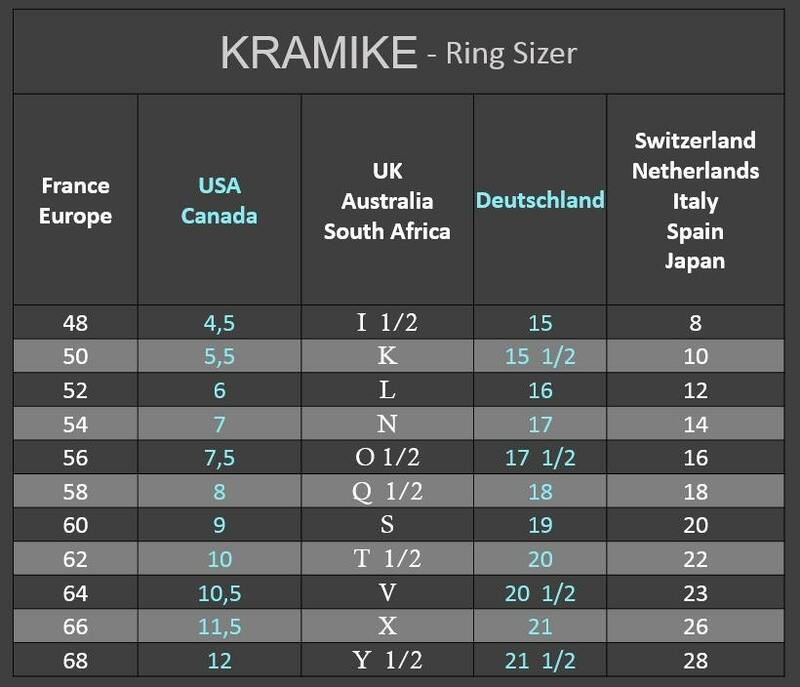 Perfect on it's own and just may be the only ring you need. 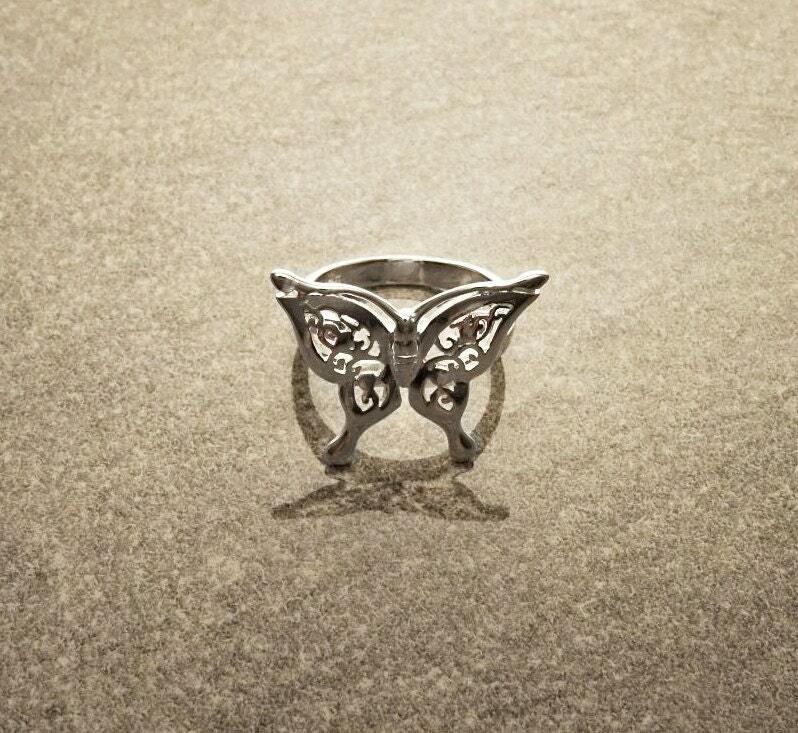 * Another ring with butterfly pattern. 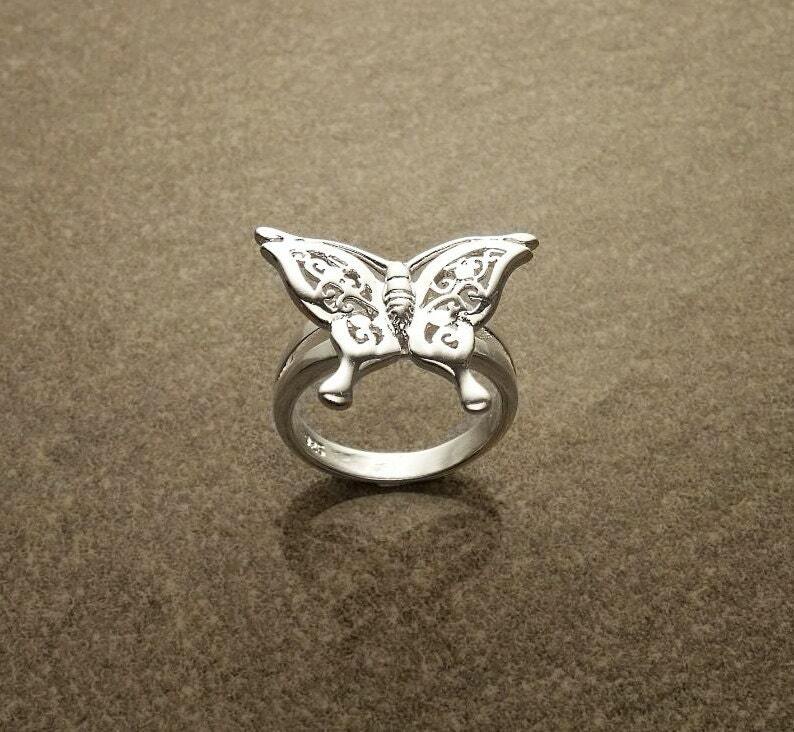 It's Beautiful ring.I'm Very satisfied.